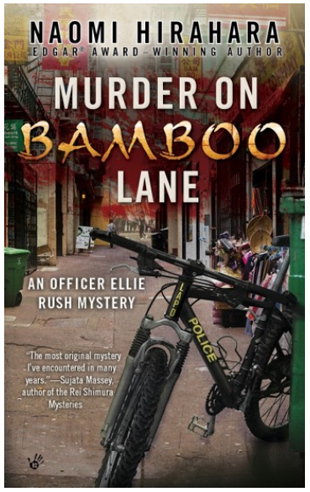 Ellie Rush is a bicycle cop for the Los Angeles Police Department. And while she just wants to help those who need it, with a half-white, half-Japanese background but looks that can pass for white, she is not always welcome in the ethnically Los Angeles diverse communities she polices. Although she has ambitions to become a homicide detective, she still can’t help being disturbed when she comes across her first dead body — a former college classmate. At the request of her Aunt Cheryl, who is the assistant police chief, Ellie finds herself embroiled in the investigation. She receives help (and interference) from her nosy best friend, an over-involved ex-boyfriend and the good-looking detective leading the investigation. Hirahara’s writing will have readers constantly guessing who the killer is as she provides us with a number of possibilities that have Ellie riding around in circles on her LAPD-issued bike. But Ellie proves to be up to the challenge as she follows the various clues and does her best to earn possible witnesses’ trust and get them to talk to her — using her just-out-of-college youth and mixed background to her advantage. In addition to the mystery of “Bamboo Lane,” Hirahara also showcases the diversity that exists in Los Angeles. In addition to Ellie and her biracial family, the story’s remaining cast of characters all have different backgrounds — from her Cambodian American best friend, to the murder victim’s Peruvian roommate, to various members of the local Vietnamese community. And while highlighting these diverse characters was great to read, Hirahara’s writing also adds nuances with the way they interact with each other that could only come from firsthand experience. As an Asian American, I was able to see myself in various characters at points in the stories and was even able to recall when I have had similar conversations with my family and friends as Ellie and her inner circle has throughout the book. In her room, in a teal hatbox, Lara Jean Covey has a box of love letters. But these letters are not sent to her. They are letters she has written to the boys she has loved. There are five in total. She doesn’t write the letters to be sent to the boys in question. The letters are just for her — a way for her to get over them and move on with her life. But then, the letters get sent out by mistake and before she realizes what’s happening, Lara Jean — who is half Korean and half white — is dealing with confused boy after confused boy as they confront her about the letters. Needless to say, things begin to spin out of control and hilarity ensues. Despite the title and premise of the book, “Boys” is not all about Lara Jean going boy crazy. In addition to dealing with all these boys who never really noticed her before suddenly taking an interest, her older sister Margot has just moved away to Scotland for college. Suddenly, Lara Jean finds herself in a more motherly role, taking care of her younger sister Kitty as well as their father — a role Margot assumed after their mother died when they were younger. Family plays a large role in this story and Lara Jean’s life and I really enjoyed that as it showed that she was more than a silly teenage girl. It made her struggles and triumphs more realistic as teenage girls are multifaceted and multidimensional. 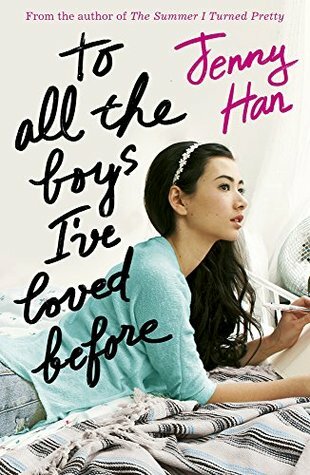 Han shows her readers that it’s also okay to be the kind of girl who prefers staying home on the weekend to going out and partying as Lara Jean is more on the quiet and introverted side. But just because she prefers keeping to herself, doesn’t mean Lara Jean isn’t strong or that she doesn’t know how to speak her mind. She does. And when she does, watch out. Run does not have the best relationship with his older brother Kwong. In fact, there are moments when things are downright hostile between them. Kwong is the “founder” of Chinksta (Chinese Canadian) rap in Red Deer, Alberta, Canada and Run is not a fan of the genre. But on the night of what is supposed to be Kwong’s crowning performance in their hometown, Run makes an appearance, knowing how important the show is to his brother. Only Kwong doesn’t show up. There seems to be something more to Kwong’s disappearing act as threatening messages are left on his family’s home answering machine and Run and Kwong’s Chinese mother is shot with a bullet meant for Kwong. This leads their Scottish father on a determined rampage to find who is behind the act. And before he knows what’s happening, Run — a senior in high school — finds himself in the middle of a violent battle between Red Deer’s rival gangs, the Apes and the Necks. 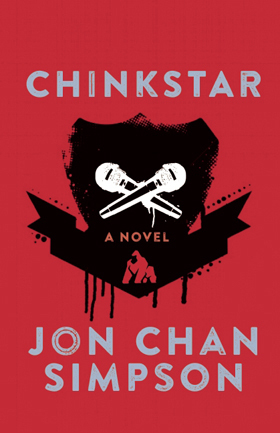 Set to the backdrop of an unstable underground hip-hop movement, “Chinkstar” breaks the mold of both the stereotypes associated with that particular culture as well as the stereotypes associated with Asian Americans — or in this case, Asian Canadians. And just like Run, Simpson will have readers reevaluating what they think it means to be Asian. In addition to delving deep into the hip-hop scene, Simpson also focuses on Run and his relationship with his family. I particularly enjoyed the dynamics between him and Kwong. As a younger sibling myself, I know what it is like to look up to your older sibling and just wish they thought you were just as cool as you thought they were.